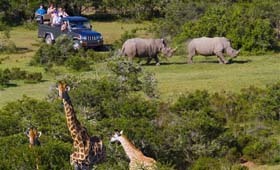 Spend 2 nights in Knysna and 1 night at the Buffelsdfrift Game Lodge. 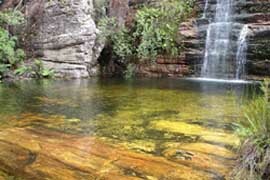 Explore the Wilderness, Knysna, Plettenberg Bay and Natures Valley. Enjoy 2 Safaris at the Botlierskop & Buffelsdrift Game Lodges. Visit the Cango Caves, Ostrich Ranch and Seal Island at Mossel Bay. The Tour Begins and ends at George Airport. On the last day you have an option of reaching your next destination by Air, Luxury air-con Coach or a Private Road Transfer. Accommodation is in three or four star Guest Houses, Lodges or Apartments and includes daily breakfasts, Dinners and Lunches as per itinerary. We depart from George Airport in the early afternoon. We journey to Knysna via the Wilderness. Here we stop for an optional craft Beer tasting. Arriving in Knysna, there is time to discover the craftsmen, who have settled in the area from every corner of South Africa. This region has a tremendous range of arts and crafts, in all mediums. 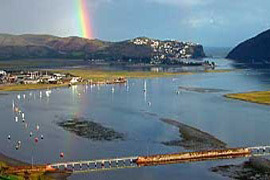 Visit the Knysna Heads where the mighty Indian Ocean rushes in and out of the Knysna Lagoon. Wind up the day with an optional Lagoon Sunset Cruise. There are a number of optional activities including luxury Yachts and Ferries. This evening guests are invited to the Knysna Yacht Club for sundowners and a traditional South African barbeque (Braai). Accommodation is in 3/4 star accommodation. Either at the at the Knysna Waterfront or in a Guest House. 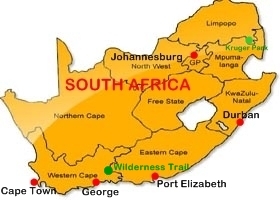 Today you will explore Plettenberg Bay and the Tsitsikamma region. Originally named Bahia Formosa (Beautiful Bay) by the first Portuguese explorers, Plettenberg Bay more than lives up to its name as you spend time in its environs. We will do some whale and dolphin spotting. In the winter months there will be plenty of whales to view close to the shore. The coastal road we follow wends it's way along steep river gorges, over spectacular mountain passes and through dense indigenous forests and ferns. We visit the tiny settlement of Nature's Valley, one of the loveliest havens of tranquillity along the Garden Route. Our exploration of this ancient forest leads through the tangle of trees, ferns and creepers and the the undisputed monarch of the forest - gigantic Outeniqua Yellowoods. Enjoy an Optional tour of Monkeyland, Jukani Wildlife Center or the Birds of Eden before departing back to Knysna. The Evening is free to explore the Waterfront and dine at one of the many restaurants. Today we head for Oudtshoorn in the Klein Karoo. The Route takes you through the seven passes road which winds through forests, farmlands and rivers. En Route we visit the Botlierskop Private Game Reserve. 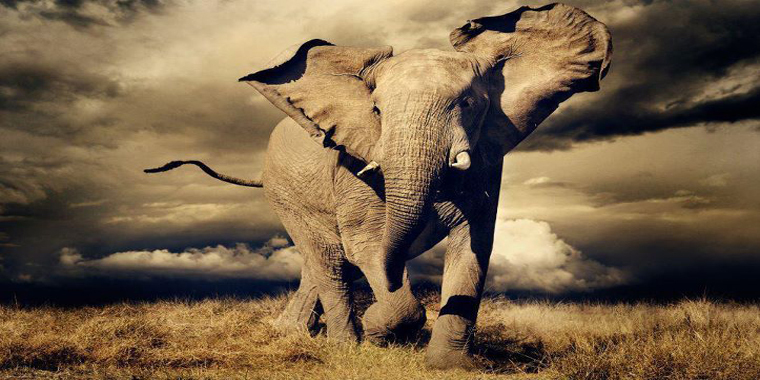 Home to the Big Five, you will enjoy a safari on a 4X4 open vehicle with an experienced ranger. En Route we stop at Mossel bay to visit Seal Island. We travel over the Robinson Pass to Oudtshoorn, principal centre of the Klein Karoo and undisputed "ostrich capital" of the world. 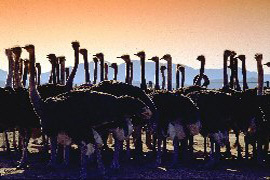 Our itinerary includes a visit to a fascinating Ostrich Show Farm where, amidst enormous flocks of these strange birds, we are shown their development from the one kg egg to the 100 kg adult. Overnight in Oudtshoorn at the Buffelsdrift Private Game Lodge. The day begins with an early morning game drive. Look out for a wide range of animals include Hippo, Elephant, Lion, Giraffe, Eland, Zebra, Buffalo, Rhino, Springbok and much more. 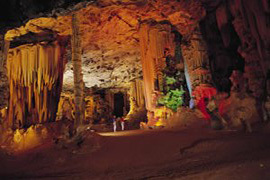 After Breakfast you will visit one of the great wonders of Africa - the subterranean wonderland of Cango Caves for a tour of this vast sequence of caverns, each filled with astonishing formations of glittering stalagmites and stalactites. We drop off our guests in the early afternoon at George Airport for your onward flight or coach/car transport to Cape Town or Port Elizabeth. Included in the Price: Three nights accommodation with breakfasts and one dinner. Ground transportation and chauffer driver from George on Day 1 to George on Day 4. Barbeque on day 1. Entry to Cango Caves and Ostrich Ranch. Boat Cruise to Mossell Bay. Two Safari Game Drives, Tourism levies and sales tax. Bottled Water. Not included in the Price: Lunches, dinners, optional activities, flights or transfers to and from George, alcoholic drinks, tips and personal items. By Private Transfer: Guests are picked up at 08h00 in Cape Town or Port Elizabeth at 11h00 and transferred directly to Knysna. By Coach: Daily departures by Inter-cape Coaches Depart at 06h00 from Cape Town and 06h30 from Port Elizabeth. Included: Accommodation only (3/4 star ) with breakfasts, booking fees. Excluded: Car Rental (See Rates Here) fuel, tolls, conservation and entry fees.